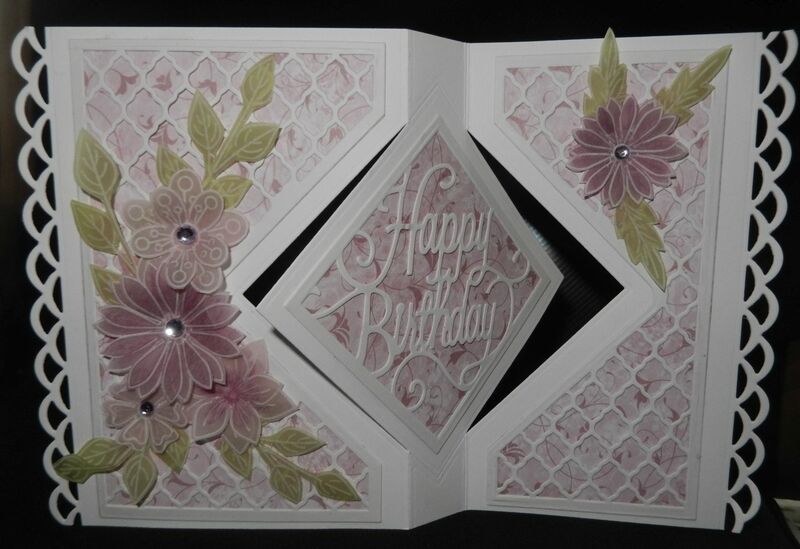 I decided to go with a Crafters Companion die which cuts a very different card shape and build the layers up. It also gave me a chance to do my favorite thing making my own flowers this time I used parchment and Clarity Groovi plates. 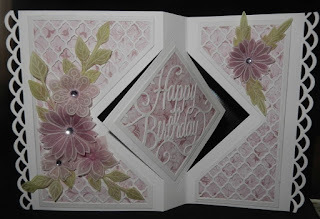 This made a card which folds very flat which makes it so much easier to post. Absolutely beautiful! Love your design and soft color tones!